maximum protection to stop others copying your works. 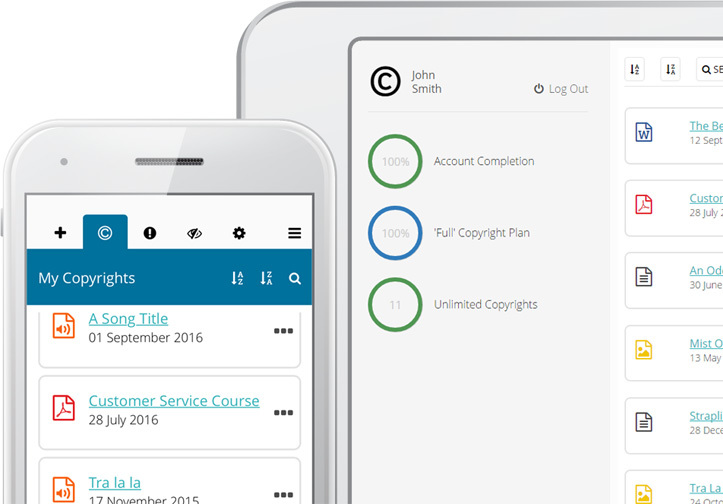 and then enjoy life-long free protection & access to register and manage your copyrights. 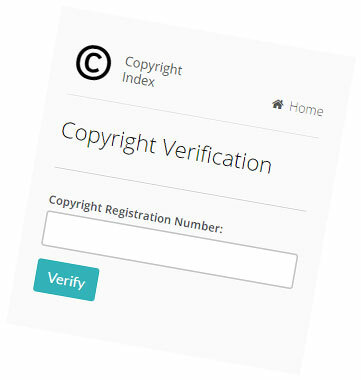 The official Copyright Index provides copyright registration to prove your ownership, and provides maximum protection to stop others copying your works. It takes less than 5 minutes to register an official copyright account, and then enjoy life-long free access to register and manage your copyrights. Official registration of your copyrights gives peace of mind that your rights are protected and provable. Without copyright, anyone would be free to copy your work. Don't let others copy your work and profit from it. 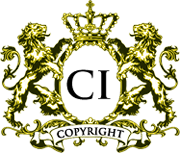 Register with the official Copyright Index to protect your work. Your copyrights will be registered in United States and internationally, stopping people from copying your work all around the world. 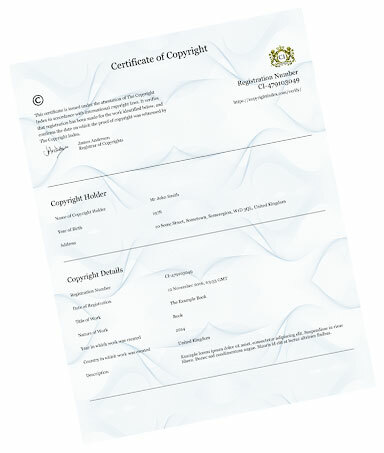 Copyright protects literary work such as books, poetry and articles, artistic works such as designs, images, photographs, products, product design, company documents, music, lyrics, songs, computer software, websites, company/business assets, and many more. Essentially, copyright protects any original work. We have authoritive backing to ensure any copied work is removed from the internet. Our organisation works with ISPs, internet hosts, websites (such as eBay) and all search engines including Google to ensure any copied work is removed from the internet. We are legally backed by the DMCA. Copyright Index provides official certificates of copyright registration, together with sworn affidavits attesting to your official ownership of your copyrights. We provide you with the tools and assets to help prevent people copying your work. From the official © logos to the option of being shown in the official index, to enabling you to link your work to your copyright proof if you wish, we give you everything you need. Official copyright registration, proof for when you need it, and successful action to stop people copying your work. Do you produce creative work, or are you a business owner, or owner of original work? Then you need copyright to protect your assets and intellectual property rights. Unfortunately these days, plagarism is rife, and copyright is not something you can do without. Protect your work and protect yourself with official copyright registration & protection. We're here to help our members, with a range of guides on our website, and real human support available 24/7. I thought registering for copyright would be complicated - how wrong I was. Thank you Copyright Index. I shall be recommending to everyone that they get their copyrights in place. I'm so happy I found Copyright Index. Your system is so easy to use and gives me the right options. And the fees are so low! Thanks guys! Having worked so hard on my book, I was very pleased to be able to copyright it so easily. Our support has been rated with 5-Stars. As we operate internationally, our human support is available 24 hours/day.